The world, and especially the Ummah, is incensed at what is being portrayed as genocide against Muslims in Myanmar, but the reality of what's happening there is a lot more complex than the simplistic rumors lead one to believe, and the geopolitical ramifications of this crisis could become very far-reaching. Right off the bat, killing innocent people is wrong, and everyone is justified for feeling outraged when they believe this is happening, as it plainly is in some cases in Myanmar's coastal Rakhine State. The question, though, comes down to identifying who's doing the killing and why, and whether the victims were intentionally targeted or "collateral damage," be it from a military "anti-terrorist" operation or a "rebel" one against the government. It's also important to ponder what the geopolitical ramifications of all of this could be in terms of the larger dynamics at play in the New Cold War. 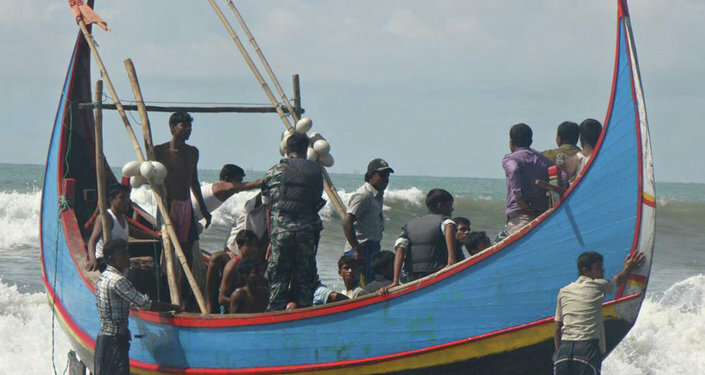 To oversimplify the situation for brevity's sake, the Rohingya are Muslims who live in the northern part of Rakhine State and claim to be native to the region, though the Myanmarese government says that they're just Bengali migrants and their descendants who began moving into the area after the late-19th-century imposition of British colonial rule. The other main demographic group in this territory is the Rakhine people, who are Buddhists that inherited the legacy of the long-standing Kingdom of Mrauk U. The immediate post-independence period in Myanmar, called Burma until 1989, saw the many ethno-religious minorities of the country's resource-rich periphery rebel against the central authorities in favor of federalization or, as the Rohingyas wanted, unification with the neighboring state that they more closely identified with (East Pakistan, but Bangladesh since 1971), thereby setting off the world's longest-running and still-unresolved civil war. Pertaining to Rakhine State, this conflict has ebbed and flowed throughout the decades, most recently climaxing in 2012, 2015 and just recently this summer, with the latest three escalations seeing reprisal violence by some of the hyper-nationalist Buddhist majority against the minority Muslim population. In response, the more impoverished Rohingya, who don't have citizenship rights because most of them don't qualify for such under the country's pertinent laws, had little to leave behind in Rakhine State and would flee en mass to Bangladesh for safety. 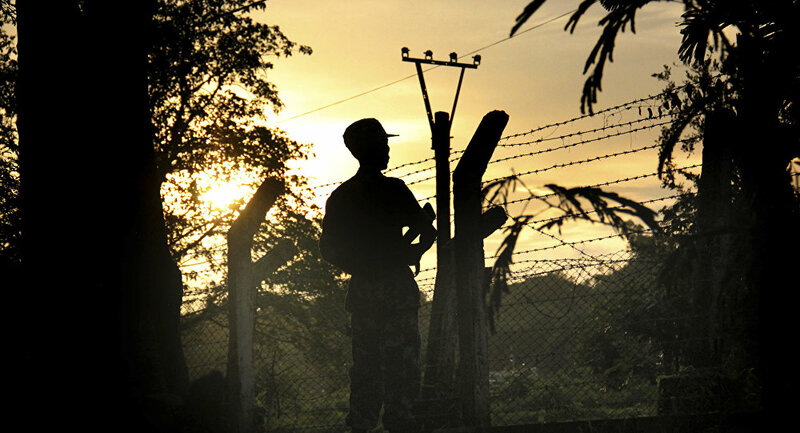 It's worthwhile here to point out that the Myanmarese military, known as the Tatmadaw, claims that its operations in their locales are triggered by the deadly attacks that Rohingya rebels — seen as terrorists by Naypyidaw and accused of having links to al-Qaeda and other such notorious groups — carried out against them and Buddhist villagers. The fog of war is such that civilians are obviously getting killed as a result, but it's unclear whether this constitutes genocide, or who's actually behind it all. It's impossible to tell at this moment exactly what's going on in Rakhine State and part of the reason is because of the heavy information war against Myanmar right now and Naypyidaw's refusal to let independent journalists into the region out of what it says are security concerns, but the general dynamics at play right now are oddly reminiscent of the run-up to NATO's 1999 War on Yugoslavia in carving the West's protectorate of Kosovo out of what is now Serbia. Back then, the world suddenly became aware of a newly popularized sub-identity of Muslims called "Kosovars," just as they're now becoming quickly acquainted with the "Rohingyas," and they too claimed that their rights were being violated and that this therefore justified them committing acts of violence against the state and sometimes even civilians. Another common thread is how much-publicized mainstream media images and stories, many of which were later proven to be fake or totally decontextualized, served to inspire the global Muslim community (Ummah) to rise up in rage and send volunteer fighters to help their co-confessionals, as is the traditional duty of this religion when they believe one of their own is being persecuted. The problem, however, is that the situation is never as black and white as it's made out to be by the mainstream media, as anyone following the war on Syria for the past six and a half years knows by now, especially when it comes to the never-ending accusations that President Assad is also carrying out a "genocide" against Muslims like Milosevic before him and now the Tatmadaw apparently too. The intrinsic human urge for people to get upset by what they believe to be the senseless and deliberate killing of an entire identity group is often abused by "perception managers" to gin up support for their patrons' upcoming wars, and this is especially so when Muslim victims are involved. Unfortunately, these sorts of situations have a track record of attracting international terrorists and leading to the explosion of domestic ones, like what happened with the "Kosovo Liberation Army" and its al-Qaeda backers in Yugoslavia; the "moderate rebels," al-Qaeda and eventually Daesh in Syria; and now the "Arakan Rohingya Salvation Army" and what increasingly looks to be Daesh's next Asian hot spot in Myanmar. Correspondingly, each conflict was linked to either capturing the whole country or partitioning off a strategic corner of it, with post-conflict Kosovo hosting the US's gigantic Camp Bondsteel; all of Syria at one time being planned to become the US's pivot of control over the entire Levant; and a future "South Asian Kosovo" of "Rohingyaland" giving its patron powerful influence over the two oil and gas pipelines from coastal Kyaukphyu to China's Kunming and accordingly dominating this envisioned New Silk Road hub. The point here isn't to whitewash what might eventually turn out to be proven is the Tatmadaw's excessive and disproportionate counterinsurgency operations against civilians, but to draw attention to how the overall conflict momentum is being guided in the direction of an externally provoked identity-centric hybrid war through a coordinated and one-sided information campaign. This is aimed most immediately at demonizing the Myanmarese state while deflecting attention away from the attacks of Rohingya "rebels," which contributed to the rapidly deteriorating military and humanitarian situation. The medium-term purpose behind provoking such targeted global outrage is to inspire countless Muslim "volunteers" (some of whom will undoubtedly be actual terrorists) to flood into Rakhine State and then set the stage for a multilateral "humanitarian intervention" following the Kosovo model or an anti-terrorist campaign like what the US-led coalition experimented with in Syria in order to ultimately gain control of a territory indispensable to China's One Belt One Road global vision of New Silk Road connectivity. Furthermore, remembering how none of this is taking place in a vacuum and that the country is still engulfed in a multi-sided civil war all along its periphery, it's possible that the ongoing federalization talks could give way to the all-out "Balkanization" of the former Burma along the lines of what happened to the former Yugoslavia. The end result of this tragedy would be the birth of a host of new states through their own bloody baptisms of fire, which would allow hostile foreign powers to more easily control this strategic space at the juncture of South, Southeast and East Asia. Moreover, another fault line would instantly emerge in the so-called "Clash of Civilizations" (itself nothing more than a blueprint for dividing and ruling the Eastern Hemisphere through identity-centric Hybrid War) between not only Muslims and Buddhists in Rakhine State, but possibly even eventually the Buddhists and Christians in the central part of Myanmar and its Northern-Eastern peripheries respectively. In addition, one could expect Buddhist and Christian "volunteers" from abroad to flood into the battlefield too, potentially catalyzing what might go on to one day become their religions' own form of Daesh. Other than the geopolitical removal of Myanmar from the world map and the untold suffering of its over 50 million people, the other victim would of course be China, which would have to confront a Syrian-like Hybrid War along its porous southwestern border on top of the other many security challenges ringing its periphery (North Korea, East China Sea, South China Sea and India). Any plans for a CPEC-complementing Myanmar Corridor to the Indian Ocean would also be dashed, and Buddhist troublemakers in Tibet might become radicalized and inspired to commence another round of violence. 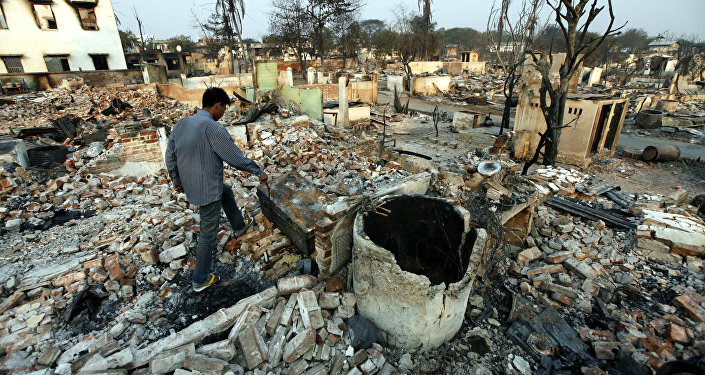 The likelihood of these forecasted scenarios could naturally compel China to take the lead in jump-starting emergency conflict resolution measures in Myanmar if the situation continues to spiral out of control there, which might help establish exactly which of the two sides started this whole mess and hopefully bring justice to all the perpetrators without the large-scale geopolitical consequences that threaten to unfold otherwise.